I love looking on the BH Cosmetics site, they have so many wonderful products. 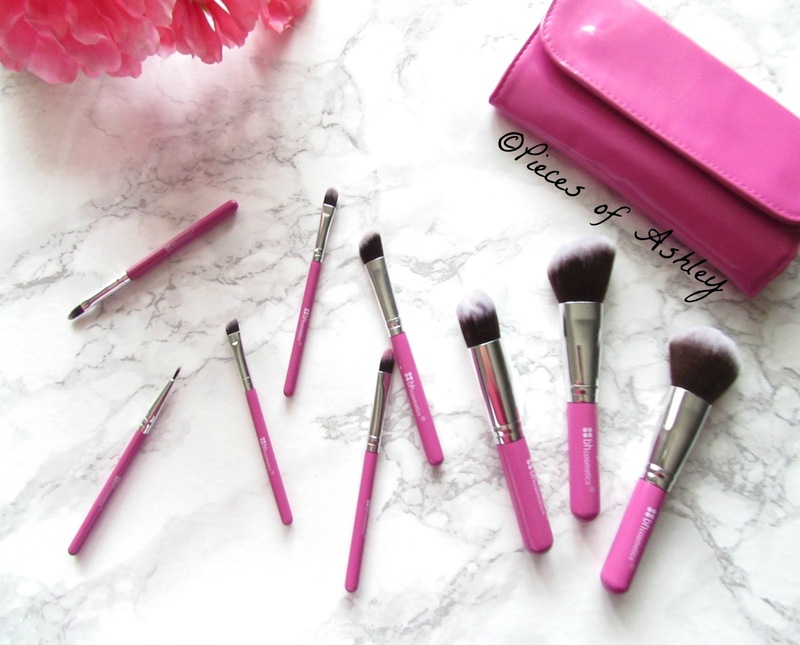 So when I went on their site about two weeks ago, I saw this pink brush set for only $5. The main cause for this was for breast cancer awareness month and the sale lasted for three days. So on the first day when I saw this sale I was not sure about it. But when I saw it was for a good cause and the money would be donated to the Young Survival Coalition for young women with breast cancer, I decided to buy it. It was sold out by the last day. I ordered these brushes on Tuesday October 14 and received them on Saturday! Unfortunately this brush set is no longer available, it was only available for those three days. I would have talked about these brushes last week, but I wanted to try them out first. I have only tried out a few of the brushes from this set, but so far I really like them. 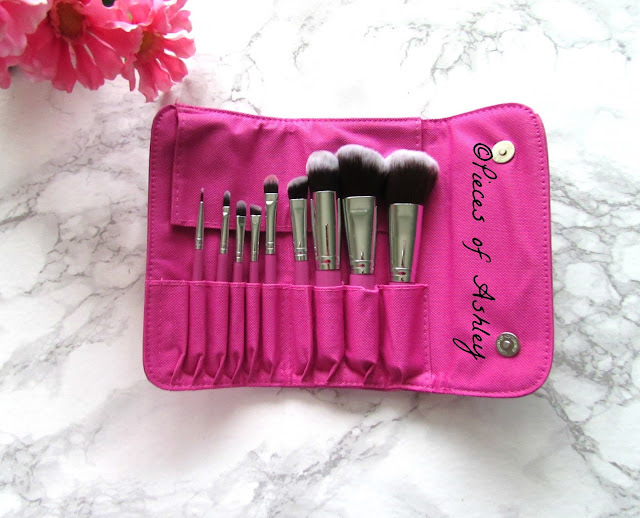 Included in this case is nine brushes and one eyebrow/ lash spooley. They work really well and they also pack on pigment great. One of the things I like about this set is that it comes with 3 different eye shadow brushes. The angled eye shadow brush, large classic eye shadow brush, and the small classic eye shadow brush. I use the angled eye shadow brush as a blending brush! I also use the eyebrow and lash spooley to keep my brows in place. Like I said before, unfortunately there are no one brush sets of these kind unavailable. Maybe in the future they will bring them back! I hope you enjoyed this post! What are your favorite brushes to use, from any brand? It's great! Hopefully they decided to have this brush set out again! What a gorgeous brush set - they look so fluffy!